This is a guest post by Selena Grimaldi of the University of Padova. Since the election on March 4th Italy has been unable to form a government. This delay was exceeded during the so-called First Republic on only 4 occasions, mainly during the so-called ‘years of lead’ under the following governments: Cossiga I in 1979, Andreotti II in 1972, Craxi I in 1983, Andreotti III in 1976. At the election, the M5S won 32.7% of the vote and the League won 17.4%. At the beginning, the leader of the League, Matteo Salvini, tried to convince the leader of the M5S, Luigi Di Maio, to accept a coalition with all the parties of the centre-right coalition that had run together on 4th March winning 37% of the vote overall. However, Di Maio strongly rejected this proposal, since his electoral base could not accept being in government with Silvio Berlusconi, the leader of Forza Italia, who had been defined as “a criminal” by the M5S from the beginning. As a consequence, Salvini decided to abandon his former electoral partners, namely Silvio Berlusconi and Giorgia Meloni, the leader of the far-right party, Italian Brothers, in an attempt to form a yellow-green government. Even though, most of the time seems to have been spent in defining points of common agreement between Salvini and Di Maio, there is no doubt that the two young leaders were also concerned with the ministerial nominees to be presented to President Mattarella. As far as the coalition-agreement (the so-called contratto di governo, or coalition contract) is concerned, many analysts have suggested that agreement was difficult to reach both because the parties had mutually exclusive or ambiguous positions and because of the lack of financial detail in their programmes. In addition, many of the proposed points seemed to be unconstitutional. Nonetheless, President Sergio Mattarella decided not to comment, probably leaving himself the opportunity to intervene later by using his veto powers on a specific piece of legislation. This behavior seems to suggest that Matterella was trying to avoid any institutional rift and was trying hard not to hinder the formation of a yellow-green government. As far as the ministerial nominees are concerned, the first big decision was that neither Di Maio nor Salvini would become PM. This meant that the two leaders had to try to find a candidate who would be acceptable to both. The name circulating since last week was that of Giuseppe Conte, an unknown law professor without any political experience. Despite some doubts, President Mattarella agreed to charge Professor Conte with formal powers on May 23rd. In so doing he highlighted the fact that the PM should not be seen as a puppet of the party leaders. In fact, during his meeting with Di Maio and Salvini, the President explicitly underlined this point and ended up reminding them of Article 95 of the Constitution, which states: “The President of the Council conducts and holds responsibility for the general policy of the Government. The President of the Council ensures the coherence of political and administrative policies, by promoting and co-ordinating the activity of the Ministers”. Another important aspect to point out is that President Mattarella, as he explicitly noted in a subsequent public statement, had previously advised both Salvini and Di Maio, as well as Conte, that he would pay particularly close attention to the nominees of three Ministries: the Economy, Foreign Affairs and Home Affairs. Even though many analysts pointed out that some of the candidates proposed by the two parties were extremely weak – for instance, the Italian ambassador to Teheran, Luca Giansanti, as Minister of Foreign Affairs or Alfonso Bonafede (M5s) as Minister of Justice – the President decided not to oppose them. However, the biggest obstacle was the nomination of Paolo Savona as Minister of the Economy. The problem with Savona, who was strongly supported by Salvini, was his critical approach to the Euro and Italian membership to the EU. Even though the two political forces may have different ideas on this issue, for President Mattarella Europe was not a matter of political opinion. It is worth noting that Italy’s European membership has been constitutionalized (see especially Articles 11, 81 and 117 of the Constitution) and, thus, the President as the Guarantor of the Constitution has no choice but to defend this framework. Moreover, as the President pointed out, Savona’s nomination would most likely have a dangerous impact on the markets and put citizens’ savings at risk. For all these reasons, Mattarella was hoping to convince Salvini to change his mind about Savona and tried to restore a more collaborative working relationship by making it clear that he would accept Giancarlo Giorgetti, the number 2 of the League, Minister of the Economy. However, Salvini tried to put the President in a corner, by stating that it would have to be Savona, or no government at all. It is hard to know whether Salvini thought that Mattarella would back down or if he planned this strategy in advance so as to make new elections the only possible option. The result is that, now, there is no chance of a political yellow-green government and there is a dangerous institutional crisis. The first reactions to Matterella’s decision have focused on the interpretation of the article 92.2 of the Constitution, according to which “The President of the Republic appoints the President of the Council of Ministers and, on his proposal, the Ministers”. Many jurists have pointed out that the President plays an active and not simply a ceremonial role in government formation. In other words, it is impossible to sustain the idea that the President is always obliged to appoint ministers proposed by the PM. Further, looking at political practice, there are many examples of ministers who have been supported by or stopped by Presidents, e.g. President Scalfaro’s opposition to Previti as Minister of Justice in the Berlusconi 1 government, and President Ciampi’s support of Ruggiero as Minister of Foreign Affairs in the Berlusconi’ III government. Going back to the so-called First Republic, President Pertini obliged the prime ministerial candidate designated by the DC (Andreotti V) to be flanked by two deputy Prime Ministers (Ugo La Malfa and Saragat). In short, it seems impossible to invoke the impeachment of the President under Article 90 of the Constitution. However, many political forces have called for the president to be impeached, including the leader of Italian Brothers, Giorgia Meloni, and the leader of the M5S, Luigi Di Maio. To date, the impeachment procedure has never been applied. In the case of President Leone, the political parties only threatened impeachment in order to force him to resign over the Lockheed affair. Many years later, it was clear that Leone had no involvement in the affair. The impeachment procedure was also activated against President Cossiga (especially at the behest of the PDS and the Radicals) and President Napolitano (at the behest of M5S), but in both cases Parliament did not take the issue further. Therefore, what I predicted would happen immediately after Mattarella’s election, did actually happen yesterday: even the most self-restrained President may become active in the political arena under certain conditions. In particular, President Mattarella decided to hinder the appointment of Savona as Minister of Economy in order to respect his constitutional duties, as well as to avoid economic instability. Consistent with this line, Mattarella instructed the economist Carlo Cottarelli to form a presidential government, even though it is unlikely that he will obtain the confidence of the Parliament. There is no doubt that a number of political problems will emerge from this situation. The first relates to the so-called populist forces, which are likely to obtain a huge amount of support at the next election. In fact, both the League and the M5s have already started a campaign, accusing the President of being manipulated by the EU, bankers and certain foreign countries (especially Germany and France). These allegations seem to have already found some popular support with certain allies. Further, these forces have managed not to be held accountable for their electoral promises, and especially for showing where they would found the money required to pay for them. Thus, until the next election, no-one can blame them for any failure. Finally, Salvini is certainly the winner of this institutional rift and is likely to emerge as the most prominent figure of the Italian right, pushing Berlusconi aside once and for all and ending any residual centrist position. The second political problem – as pointed out in my previous post – is related to the fact that neither the League nor the M5S has fully recognized the authority of this President from the very beginning, since they did not vote for him in 2015. Therefore, they may claim that Mattarella is acting as the President of the majority who elected him, namely the PD and other centrist forces. These allegations may contribute to delegitimize the Presidency as a whole as well as this particular President, since the President is meant to represent the whole nation. The third political problem is that President Mattarella’s media strategy makes him appear remote from the citizens and consequently he cannot count on any huge popular support. In fact, according to Demos & PI, Mattarella is trusted only by 46% of citizens (data from 2017) with a drop of 3 points in comparison to 2016 and a decrease of 10 points in comparison with 2007 when Napolitano held the office. In the past, popular support has proved to be very important in the construction of the leadership capital of Italian Presidents and could have been crucial this time too. Finally, the real political drama is that the distorted concept of democracy supported by both the M5S and the League (i.e. what counts is the will of the majority) seems to be resonating more with Italian citizens than Mattarella’s idea of checks and balances to protect minorities. This entry was posted in Europe, Italy and tagged government formation, Italy, president on May 30, 2018 by Robert Elgie. Selena Grimaldi – Italy: Will President Mattarella succeed in emerging from the party swamp? There is no doubt that President Sergio Mattarella was chosen in order to mark a change from Giorgio Napolitano’s presidency. The first years of his term confirm this idea, in particular his sober leadership style and his self-restraint are in line with the typical President of a parliamentary system who tries to embody the unity of the nation rather than performing an active role in the day to day politics. The differences with his predecessor are not simply related to their opposite political culture but also to their different visions of the presidential role. In fact, Mattarella has claimed to be the Guardian of the Constitution and an impartial arbiter of the political game, whereas Napolitano asserted his right to intervene to solve problems over party gridlock and meltdown. This striking difference is recognizable even considering how Napolitano dominated international relations and how deeply he exploited the mass media to communicate his thoughts and vision in comparison to Mattarella. In a very rough attempt to empirically prove this, the number of interviews given by Mattarella and published in the Quirinale webiste from 2015 to 2018 was counted, and it appears to number only seven. The polls also show that this self-restraint has probably negatively affected the trust people have in the presidential institution. Currently, the President remains broadly trusted by citizens, even though the percentage trusting him decreased from 49% in 2016 to 46% in 2017 according to Demos & Pi. In other words, a President who has been generally silent on most issues seems not to correspond to the citizens’ preferences and probably to the peculiar Italian political circumstances that emerged just before the beginning of Mattarella’s term. That is to say, the critical elections of 2013 that completely changed the dynamics of political competition. The result of the elections of March 4 confirms that the tripolar competition that first emerged in 2013 is not a contingent but a stable feature of the Italian political system. The only relevant novelty is related to the changing power relations among parties. In particular, in 2013 three parties gained a similar quota of votes; the Democratic Party (PD) (25.4), Forza Italia (21.6) and the Five Star Movement (M5S) (25.6), and both the centre-left coalition and the centre-right coalition could not form a government alone, which pushed them to form a Grand Coalition. In 2018, among these parties, only the Five Star Movement has increased its score, becoming the first party with 32.6% of the votes. The PD is the loser, obtaining a result under 20% of the vote and in the centre-right coalition there has been a reversal of the balance of power, since the League (now without any reference to the North) gained 17.4% of the votes, whereas Forza Italia obtained 13.9% of the vote. Therefore, the final result makes it impossible for both M5S to govern alone, as well as for the centre-right coalition, which gained 37% overall. In this party gridlock, President Mattarella is expected to act as “the second engine” of the system by finding a solution to government formation and preventing the possibility of new elections. This government formation process is a unique opportunity to understand if Mattarella’s style is simply connected with his personal attitude or if it is indeed a sign of a weak presidency. In other words, if there is a clear departure from the pattern of the Italian Presidents of the so-called Second Republic, who are examples of strong presidents even within a parliamentary context, or if there is a substantial continuity. In particular, a call for new elections – even if it is unrealistic – would be the most negative result for the President because it would demonstrate his inability to find a political solution, not to mention the fact that with the current electoral rules, a replication of the same political impasse is the most likely outcome. The formation of a political government, namely a coalition government of any type, may prove to the opposition parties that the President is responsible. Or in other words, his capacity as mediator among parties, who themselves remain the real decision-makers. Finally, the formation of a caretaker/technocratic government or a government of the President may prove that Mattarella can impose his will on political parties, making his strength clear. Six on weeks from the vote, two rounds of consultations have taken place. According to data published by Istituto Cattaneo, since 1994 only 2 governments have required more than 20 days to be formed: Berlusconi I in 1994 and Letta’s government in 2013. Moreover, on only four occasions have 2 rounds of consultations been needed to find an agreement (Dini, D’Alema I, D’Alema II, and Letta) and Letta’s was the only post-electoral government. Besides, it is well known that in pParliamentary systems government formation can require a lot of time, such as in the Netherlands or in Belgium, not to mention the formation of the recent Grosse Koalition in Germany or even certain Italian governments during the so-called First Republic (Cossiga I, Andreotti II, Craxi etc.). However, this is the first time that, even after a second round of consultations, nothing has really changed from the day after the elections. Briefly, the situation appears to be the following: The Five Star Movement claims the premiership for Luigi Di Maio and has declared that it is open to forming a coalition with either with the PD or The League. Matteo Salvini also claims the premiership, since he represents the largest party in the largest coalition. However, within the right-wing coalition the League and Forza Italia have different preferences with regards the identification of potential allies. The League wants to form a coalition with the M5S, while Forza Italia probably prefers a coalition with the PD, since Silvio Berlusconi’s comment during the traditional press-conference at the Quirinale about the M5S as an anti-democratic and populist force. The challenge is that The League doesn’t seem ready to let go of its traditional allies to form a government with the M5S alone. However, Salvini has proven that he can cooperate with the M5S in the parliamentary arena, especially during the election of the Speakers of the Chambers. Finally, from the very beginning, the PD has declared that it is unavailable as a coalition partner and will remain in the ranks of the opposition. The truth is that, even within the PD, the situation is not so clear. The faction close to the former leader Matteo Renzi strongly supports this position, but other political factions, as well as the radical left, seem to be more open toward the M5S. As a consequence, Mattarella decided to follow a traditional path confirming his attitude of caution. In other words, he decided to avoid the concrete possibility of a failure by giving a political pre-appointment to a candidate within the League or within the M5S, who would have to find a majority in Parliament by his/her own. Instead, the President has preferred – consistent with tradition – to give an explorative mandate (mandato esplorativo) to the President of the Senate, Maria Elisabetta Casellati (FI). In the next few days, the appointee is going to report to the President if she is able to find a possible majority in Parliament and a possible PM. If this attempt does not succeed, only two alternatives remain: a government of the President or new elections. The situation is even more complex for Mattarella given he was elected without the support of the two largest parties: the Five Star Movement and The League. And even Silvio Berlusconi’s party cast a blank ballot during the presidential elections. This means that, this time, it may be more difficult for these actors to accept a government of the President. The open question is: will Mattarella succeed in emerging from the party swamp? Or, can he prove to be a strong President notwithstanding his proverbial discretion? This entry was posted in Europe, Italy and tagged government formation, Italy, president on April 19, 2018 by Robert Elgie. This is a guest post by Selena Grimaldi, University of Padova. In this post she summarises her chapter ‘The Leadership Capital of Italian Presidents: The Politics of Constraint and Moral Suasion’ in the new volume ‘The Leadership Capital Index: A New Perspective on Political Leadership‘ (edited by Mark Bennister, Ben Worthy, and Paul ‘t Hart, Oxford University Press 2017). Measuring leadership has primarily been a US-American concern, since its archetypical form of presidentialist government concentrates all executive functions in a single person, and also merges the duties of the Head of Government and of the Head of State in a single office. Indeed, the first attempt at ranking the leadership of presidents was made in 1948 by Arthur M. Schlesinger, surveying 55 scholars on several aspects of leadership of 29 US presidents. Despite objections against the methodology of measurement, over recent decades it has been adopted in a number of Westminster democracies such as Canada, New Zeland, Australia and the UK. Recently, measuring leaders’ capabilities has become a concern also in consensual democracies as the importance of prime ministers has grown even in these contexts – so much so that scholars talk of the ‘presidentialization’ of parliamentary democracies. Irrespective of whether the presidentialization hypothesis can be considered confirmed, there is no doubt that since the 1990s Italian prime ministers have acquired a central role within the cabinet. However, the political science literature has so far failed to address sufficiently the fact that the prime minister is not the only political actor who gained power as a result of the presidentialization process. In fact, there is another actor who benefitted from it: the president of the Republic, who is the only real monocratic figure of the Italian political system. So far, there has not been any attempt to rank presidents or prime ministers in Italy. This is most likely because both the head of state and the head of government are linked to the legacy of weak political actors preceding them. Indeed, during the so-called First Republic (1948-1993), presidents were considered as notaries who exercised passive oversight and prime ministers were definitely first among equals. In the chapter summarized in this blog post I measured the leadership of Italian presidents rather than that of prime ministers because, to my knowledge, there is as of yet no ranking of any king for presidents of parliamentary republics. Moreover, I think it is useful to focus on these political figures which have too often been ignored by scholars, especially when their role has had a visible impact on the evolution of certain parliamentary democracies. The Leadership Capital Index (LCI) was first conceptualised and applied to prime ministers (or directly elected presidents). 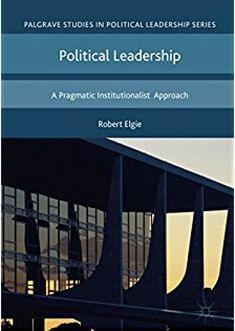 However, it could be potentially also be adapted and applied to other kind of political leaders as it is based both on agency and personal appeal. For example, in the Italian case, presidential powers are not only institutional but take the least visible form of so-called moral suasion, i.e. where presidents influence, pressure, and persuade others based on their “neutrality” and personal appeal. From a methodological point of view, the real challenge was to adapt the indicators used by Bennister et al. to the Italian context and to ‘institutionally’ constrained leaders. In particular, building on the three main dimensions (skills, relations and reputation) of the leadership capital index, I employed 12 indicators that produced a synthetic score ranging from from 11 to 54 points. Since the LCI requires a lot of soft measurements, another meaningful step was to develop a questionnaire regarding Italian presidents which was then proposed to a panel of scholars with a good knowledge of contemporary Italian politics. The analysis shows that the leadership capital of the three presidents of the Second Republic included in the study varies from medium (Scalfaro) to high capital scores (Ciampi and Napolitano). The LCI allows us to drill into these assessments and see the individual strengths and weaknesses of each office holder within the confines of the office. Scalfaro’s strength in maintaining his capital stemmed predominantly from his political skills, Ciampi’s from his relations, and Napolitano’s through a combination of reputation and political skills. For example, Scalfaro’s longevity in politics allowed him to successfully face down attacks by PM Berlusconi and right-wing parties, but his capital was weakened by his lack of neutrality. Ciampi, buttressed by the bipartisan agreement that secured his election, used these founding relations to influence foreign policy and domestically pursue a popular re-discovery of the Italian founding myth. However, as a political outsider, he was unfamiliar with the complexity of the Italian party system. Napolitano defended presidential prerogatives, at times challenging the government and inviting parliament to follow particular points of view. However, from 2011 onwards, public trust began to decrease as he became more interventionist and more deeply enmeshed in domestic crises. All three presidents blended old and new powers to build leadership capital. The three office holders all brought high levels of capital to the position that they had built up during their previous, often very extensive, political careers. The traditional characteristics of neutrality, peer support (from the Electoral College), and long political experience all provide capital, building skills, relations, and reputation. On top of this, the three successive presidents discovered and built new sources of power by cultivating popular support, using communication strategies and offering a coherent and powerful political vision. Within this general formal institutional strengthening, each president then acquired capital from slightly different areas: whether through their skills, relations, or reputation. It was this synthesis of old and new elements, institution and agency, that has made presidents more effective in the political arena and active in policy-making, especially in foreign policy and government formation. However, the LCI does not solve all of the problems involved in assessing leadership, as it is necessarily a context-based concept. The added value of the LCI approach is that it allows the traceability of power over time, revealing how each president has built on others’ strengths but all have encountered similar limits: while Italian presidents can spend their capital in focused areas, too overt attempts to act politically can erode their capital by damaging their perceived neutrality and moral probity. The steady, increasingly upward trend of the Italian presidents’ leadership capital points not only to the importance of these institutional leaders within the Italian context during the Second Republic, but to their gradual learning of what their authority can and cannot be used for. The ongoing political crisis, and the relative loss of legitimacy in almost all other political bodies, has empowered Italian presidents, demonstrating how the environment can be key to understanding trajectory as well as to building and losing capital. Granatstein, J. L., & Hillmer, N. (1999). Prime Ministers: Ranking Canada’s Leaders. HarperCollins Publishers. Sheppard, S. (1998). Ranking New Zealand’s prime ministers. Political Science, 50(1), 72-89. Strangio, P. (2013). Evaluating prime-ministerial performance: The Australian experience. In: Strangio, P., Hart, P. T., & Walter, J. (Eds.). Understanding prime-ministerial performance: Comparative perspectives. OUP Oxford. 264-290. Theakston, K. and Gill, M. (2006). Rating 20th-century British Prime Ministers. British Journal of Politics and International Relations 8(2): 193-213. Thomas, P., & Webb, P. (2005). The Presidentialization of Politics. A Comparative Study of Modern Democracies. Oxford: Oxford University Press. Karvonen, L. (2010). The Personalization of Politics: A Study of Parliamentary Democracies. London: ECPR Press. Calise M. (2010). Il partito personale. I due corpi del leader Bari: Laterza. ; Musella, F. (2012). Il premier diviso. Italia tra presidenzialismo e parlamentarismo. Milano: Egea. ; Cotta, M. and Marangoni, F. (2015). Il Governo. Bologna: Il Mulino. Amoretti, F., & Giannone, D. (2011). La presidenzializzazione contesa. XXV Convegno SISP, Palermo, Settembre, 8-10. Elgie, R. (1995). Political Leadership in Liberal Democracies. London: Macmillan Press. Pasquino, G. (2003). The government, the opposition, and the president of Republic under Berlusconi. Journal of Modern Italian Studies, 8(4): 485-499. Sartori, G. (1994). Comparative Constitutional Engineering. An Inquiry into Structures, Incentives and Outcomes. New York: New York University Press. Bennister, M., t’ Hart, P. and Worthy, B. (2015). Assessing the authority of political office-holders: The Leadership Capital Index. West European Politics, 3(38): 417-440. This entry was posted in Europe, Italy and tagged Italy, leadership capital index, Leadership traits, Political Leadership, presidential leadership on July 4, 2017 by Philipp Köker. Following on from yesterday’s post about president/cabinet conflict in semi-presidential Romania, today’s post focuses on president/cabinet conflict in a parliamentary country. It’s easy to dismiss the idea of president/cabinet conflict in a parliamentary republic, but it definitely occurs. Philipp Koeker (2015), of this very parish, has explored presidential activism in certain parliamentary countries in his thesis and forthcoming book. So too has Margit Tavits (2005). Here, I report the president/cabinet conflict scores for Italy. For Italy, I was looking to record scores for 12 cabinet units. I did not ask for scores for non-partisan presidents or caretaker governments. I received six expert replies. Italy was one of the countries where the level of inter-coder reliability was high. As with Romania, the results will most likely not be a surprise for Italy experts. And the keen-eyed will have noticed the correlation between one particular Italian leader and the cabinets with higher levels of conflict. Koeker, P. (2015), Veto et Peto: Patterns of Presidential Activism in Central and Eastern Europe, Thesis submitted for the degree of Doctor of Philosophy in Political Science, University College London. Tavits, M. (2009), Presidents in Parliamentary Systems: Do Direct Elections Matter?, Oxford: Oxford University Press. This entry was posted in Europe, Italy and tagged cabinet, conflict, Italy, president on March 9, 2017 by Robert Elgie. This post examines the role of the former President of the Italian Republic, Giorgio Napolitano, in times of political and economic crisis, with particular regard to the period 2010- 2014. During this period, Napolitano (the first President of the Italian Republic to have been elected twice, in 2006 and 2013) was a key player in seeking solutions to the economic and institutional emergencies that governmental institutions and political parties were unable to find. This active role of the President of the Republic has been the subject of contrasting assessments, in both political debate and public opinion, as well as in the academic literature. 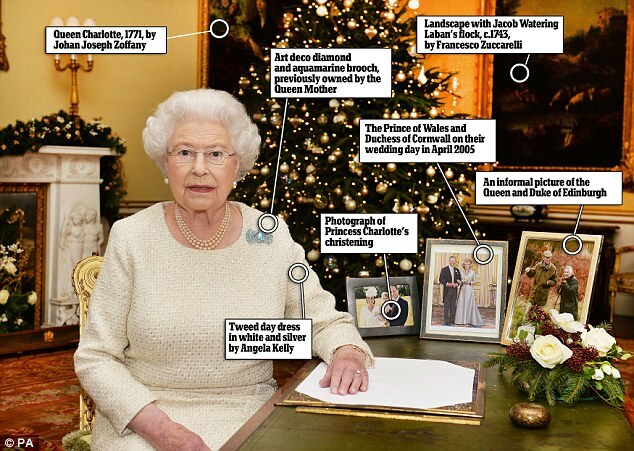 Some consider the behaviour of the Head of State constitutionally legitimate and politically appropriate. Others found it constitutionally illegitimate and politically unwise. This post aims to explain: a) why the former President of the Italian Republic tended to expand his powers; b) whether and to what extent the behaviour of the President exceeded his constitutionally prescribed role; and c) whether this presidential behaviour has protected or weakened Italian democracy. In his capacity as Head of State, the Italian President has a number of powers that are not just symbolic or ceremonial in nature, but also endowed with high political relevance, such as the appointment of the prime minister and the early dissolution of parliament. From its earliest beginnings, the actions of the Italian presidents have shown great versatility and flexibility. They adapted to the different seasons of the Italian political system relying on a laconic constitutional discipline. So, without any substantial changes to the regulatory source from which they drew their legitimacy, Italian presidents have sometimes deeply affected the evolution of the Italian parliamentary system, extending their powers to the highest degree, while on other occasions they have remained on the sidelines of the decision-making arenas. These differences have led some scholars to talk of an ‘accordion’ of presidential powers, which can expand or contract. In certain circumstances and under certain conditions, the poorly defined constitutional powers of the President of the Republic may grow to impose his will on other bodies of the parliamentary circuit – the assemblies and the government – or on other political actors such as the parliamentary majority or the opposition parties. The underlying hypothesis is that the movements of the ‘presidential accordion’ depend on the strength of the party system. The more the party system is able to produce stable and cohesive majorities, the less space there will be for wide and autonomous use of powers by the President of the Republic during times of political crisis. When, on the other hand, the party system produces unstable and conflicting majorities, the President of the Republic will tend to intervene with broader powers and more autonomy in resolving the political crisis. As we can see from the analysis of Napolitano’s presidencies in 2010-14, the role of the President grew dramatically when the crisis of the political parties made it impossible to form governments capable of dealing with the country’s financial and economic crisis. Napolitano extended his powers at the structural level in the sphere of politics, creating new procedures for government dissolution and formation. Of particular importance was his public announcement of Berlusconi’s resignation before the prime minister himself had announced it. In addition, he appointed Monti as Life Senator immediately before his appointment as prime minister. Still at the level of the political regime, Napolitano strongly defended some fundamental values of the Italian Republic, such as European Union membership. There was a similar expansion of presidential powers at the level of political process. Examining the sphere of politics, the rise of the Monti government certainly was a procedural innovation, but, above all, it was a substantive choice of prime minister which Napolitano made by himself and forced the political parties to accept. Moreover, as Napolitano has openly acknowledged, the choice of Letta as the next prime minister was also autonomously decided by the president himself, and only weakly conditioned by the parties consulted. With regard to the sphere of policy, Napolitano played an important role constantly proposing institutional, constitutional and economic reforms to the government and political parties. Apart from acting as a stimulus to the governments and their majorities, Napolitano continuously and personally monitored their work. Napolitano’s supervision of governmental activities and programmes from the end of 2010 until the beginning of 2014 applied to all the governments in power during this period (led by Berlusconi, Monti, Letta). This was necessary, since the domestic political context revealed the weakness of the parties in dealing with the country’s financial crisis and since the international economic institutions and the EU authorities had subjected Italy to very tight restrictions in the choice of its economic policies. According to the theory of the ‘presidential accordion’, the role of Napolitano expanded when the political power of political parties and the government institution weakened. Eventually, he assumed the role of guardian for the functioning of the Italian parliamentary system. What is even more relevant, due to the constitutional and political sensitivity of the issue, is the analysis of the causal relationship between the Italian parliamentary system and the behaviour of the president. Indeed, we can hypothesise that under certain conditions the trespassing of the Head of State into the government area may cause changes to the practices and substance of the parliamentary system. For example, this might occur when the majority that elected the Head of State coincides with that supporting the prime minister and his government, and both positions are held by leaders of the same coalition. Specifically, it might determine the transition from a model in which the Head of State and the cabinet are each potential veto players of one another, within a system of ‘separated institutions competing for shared powers’ to another model in which the president and the government merge in a system of ‘joined institutions sharing powers’. In a nutshell, it could give rise to a hybrid form of government, which would be much closer to a semi-presidential government than a parliamentary one. In this regard, the expansion of the presidential role under Napolitano’s presidencies has been interpreted in different ways. Some authors describe it as a pathology of the Italian political system. For these authors, the behaviour of the president not only exceeds his constitutionally prescribed role, but also represents one of the main anomalies of Italian democracy. It entails some fundamental powers of government being assigned de facto to a guarantee institution, not accountable to the electorate, thereby weakening the quality of democratic government in Italy. Other scholars emphasise that President Napolitano’s role fits into the physiology of the parliamentary government as designed by the Italian Constitution. Indeed, the flexibility given to the role of the president of the Republic can be regarded as a major instrument to resolve situations of institutional deadlock. From this perspective, the movements of the ‘presidential accordion’ becomes a key feature of Italian parliamentary government, enhancing the quality of democracy in terms of inter-institutional accountability when the weakness of the party system could block the formation of government or its functioning. Our analysis suggests that President Napolitano acted like other presidents before him when the party system suffered similar issues and expanded his powers within the constitutional limits of the parliamentary form of government. He did so through an active role of stimulation, protection and guarantee towards the restoration of governmental and parliamentary functions. Within these constitutional limits, and with a personal style, Napolitano played a role that the political parties and their leaders could not perform. Rather than changing the features of the Italian parliamentary government and transforming it unlawfully into a semi-presidential government, Napolitano has confirmed that the role of the Head of State, with its capacity for expansion, is a key role strengthening the democratic parliamentary regime in times of grave crisis – particularly when the political system is simultaneously threatened by an exogenous crisis that forces the government to decide and an endogenous crisis that prevents it from taking decisions. Mauro Tebaldi is an Associate Professor in the Department of Political Sciences, Communication Sciences and Information Technologies, University of Sassari. His main research interests are political institutions, democratic theory and public policies. This entry was posted in Europe, Italy and tagged Italy, Presidential Power on May 15, 2015 by Robert Elgie. Selena Grimaldi – The President of Italy: from veto player to first in command? This paper is part of a special issue for the review “Contemporary Italian Politics” edited by myself and Elisabetta De Giorgi (Nova University) on the transformation of the Italian political system in the last 20 years. Starting from Arend Lijphart’s masterpiece (1999) we try to (re)locate Italy in the context of contemporary democracies. More specifically, we analyze those aspects which have changed from the 1990s on, namely the reforms of the electoral system, the transformations in the party system, and the evolution of the relationship between the government and parliamentary opposition. Furthermore, we explore the variation in the distribution of decision-making power among national, supranational and subnational (regional) bodies and the new role of the President of the Republic as an increasingly important counterbalancing power. My piece, in particular, is an attempt to consider presidential involvement in the decision-making process and whether it marks a change from the consensual model of democracy to the majoritarian one. Following this path, the first point is to understand whether the activity of presidents in parliamentary systems can be added as an explanatory variable in assessing a possible change from one model of democracy to the other. In fact, the role of heads of state in parliamentary democracies is not taken into consideration by Lijphart, even though recent studies have shown that they can be treated as checks and balances as in the case of presidents in presidential systems (Nikolenyi 2011; Jacobs 2012). As many scholars have suggested, I tried to combine Lijphart’s and Tsebelis’ (2002) approaches to support the claim that presidents in parliamentary democracies should be included in the second dimension of the Lijphartian scheme when they prove to be real institutional veto players. According to Tsebelis (2002), there must be agreement on the part of a number of actors – or veto players – for a policy to change, and therefore he distinguishes between two types of veto player: the institutional and the partisan. Italy is not the only parliamentary democracy in which the Constitution gives the President certain countervailing powers to the government or parliament and more specifically it is not the only case in which presidents have actually influenced the policy process. In Germany, for instance, some presidents have intervened in the policy process both with veto powers and with moral suasion (Grimaldi 2012). As a consequence, the president in parliamentary democracies can be an institutional veto player, despite not being a collective complex institutional body like a constitutional court, and despite the absence of complex constitutional features such as federalism and bicameralism. Moreover, in line with Tsebelis’ findings, I argue that when the president acts as a veto player influencing policymaking, the democratic system is pushed closer to consensualism. However, during Italy’s Second Republic, the President has not just been an active countervailing actor to the government, contributing to dividing and spreading power, but he has stood in for the government in situations of crisis and deadlock, becoming a sort of deputy chairman. Indeed, the President has contributed to enlarging the role of the executive more than the legislature in Italy with the formation of technocratic cabinets, and he has sometimes taken or influenced foreign policy decisions which, strictly, should be in the government’s domain. Therefore, when the President acts as a decision-maker or deputy chairman, Italian democracy is pushed closer towards majoritarianism. The second important step is to divide presidential powers in two categories in order to verify when and to what extent Presidents of the Second Republic act both as veto players and as deputy chairmen. This distinction comprises both formal powers – clearly identifiable in the Constitution – and informal powers, which are linked to praxis and which have become more visible and frequent in recent years, such as moral suasion and media surveillance. Moreover, in order to explain the enlargement of Presidential powers from the 1990s on, I have considered five variables: two systemic variables, namely the power of the parties and the strength of the cabinets, and two reputational variables, i.e. the level of presidents’ public support and their international networks, and the level of approval of the PMs. At this point, I can say that my initial expectations are confirmed: presidents act as deputy chairmen especially when parties and cabinets are weak, but they act as veto players when cabinets are stronger and relatively stable. However, this is not the whole story. On the one hand, It is true that when parties and/or cabinets were weak, presidents acted as deputy chairmen by appointing PMs or deciding whether or not to dissolve Parliament, as in the cases of Prime Ministers Amato, Ciampi and Dini, appointed by President Scalfaro; and Prime Minister Monti was appointed by President Napolitano. However, their capacity to make decisions relating to government formation, notably by suggesting certain ministers, and foreign policy also relies on other factors and particularly on their public support and international networks. The appointment of the Minister of International Affairs Ruggiero (2001) suggested by Ciampi and that of the Minister of Economy Padoan (2013) suggested by Napolitano are the clearest examples. In both cases, presidential influence was effective because of the presidents’ high levels of public support. In other words, the government could not oppose the suggestion of such popular Presidents. Moreover, presidents are able to directly influence foreign policy when they have strong domestic support and when they are assured of international recognition through their foreign contacts. This was precisely the case of Ciampi in dealing with the Iraq war and that of Napolitano with the Libyan war. On the other hand, presidents act as veto players especially in opposition to strong cabinets. Presidents use formal powers, notably vetoes on legislation, messages to the Chambers, and the authorisation of government decrees, to control the longer-lasting cabinets. However, informal powers such as moral suasion and media surveillance are linked to the personal capacities of each president, in particular their ability to build approval for themselves and their communication skills. Actually, Presidents were effective in using informal powers when their popular support was relatively high. My research points out that there is no one clear path followed by the Presidents of the Second Republic, and this makes it difficult to say if they further strengthened the consensus or the majoritarian principle. Both Scalfaro and Napolitano acted as a veto player and as deputy chairman, whereas Ciampi was the only one who mainly acted as a veto player and consequently mainly strengthened the consensus principle. Indeed, not only did Ciampi use formal and informal powers to control government policies and actions, but he also chose constitutional judges and life senators who could credibly oppose the government in office. However, his role of deputy chairman was not completely negated as he successfully influenced the nomination of Minister Ruggiero and an important foreign-policy decision in the Iraq war. In conclusion, the involvement of the President in the decision-making process is an important factor in explaining the apparent change from a consensual to a majoritarian model of democracy in Italy, even though this inclusion may complicate the picture as presidential influence is not linear in pushing democracy towards the consensual or majoritarian side. The President’s intervention contributes to making Italy a mix, as certain decisions relating to government formation and foreign policy reinforce the majoritarian principle, whereas the president’s controlling actions reinforce the consensus principle. Grimaldi S. (2012), I presidenti nelle forme di governo. Tra Costituzione, partiti e carisma, Roma, Carocci. Lijphart A (1999), Patterns of Democracy. Government Forms and Performance in Thirty-Six Countries, New Haven-London, Yale University Press. Jacobs K. (2012), The more vetoes the better? The ambiguous relationship between veto players and democratic reform in consensus democracies. Working group on democracy. Innovative democracy working paper series Vol. 1, issue 5. Nikolenyi C. (2011), When Electoral Reform fails: The Stability of Proportional Representation in Post-Communist Democracy, «West European Politics», vol. 34, n.3, pp. 607-25. Tsebelis G. (2002), Veto Players. How political institutions work, Princeton, Princeton University Press. Selena Grimaldi is a postdoctoral fellow at the University of Padova. Her research interest is in Leadership Studies in Comparative Perspective, with particular attention to the role of presidents in parliamentary democracies. She has published several book chapters and articles on this theme, including the most recent: ‘The President during the so-called Second Republic: from veto player to first in command?’, in Contemporary Italian Politics, vol. 7, no. 1, 2015. This entry was posted in Europe, Italy and tagged Italy, Presidential powers on February 12, 2015 by Robert Elgie. Sergio Mattarella has been elected as the new President of Italy. The successor to President Giorgio Napolitano was chosen in three days and four rounds of voting, beginning on Thursday 29 January and finishing on Saturday 31 January 2015. Mattarella started his political career in 1983 in the ranks of Christian Democracy (DC). He was able to survive to the implosion of this “once dominant” party in the 1990s by joining centrist parties such as the Italian Popular Party (PPI) and the Daisy, and then finally the center-left Democratic Party (PD). In these elections, Mattarella was the official candidate of the ruling PD party. Initially, though, there had been the prospect of a cross-party agreement between the PD and right-wing parties, including Silvio Berlusconi’s Forza Italia party (FI). To this end, at the first ballot of voting Berlusconi proposed Giuliano Amato, another politician of the so-called First Republic who was able to survive into the Second. However, both public opinion and part of the PD were opposed to this option. In this context, Prime Minister Matteo Renzi proposed someone who could unify his own party, which in the last few months had already proved to be divided on many issues related to the government agenda. Indeed, Renzi needed the votes of Berlusconi’s opposition party to proceed with institutional reforms and with the reform of the electoral law. In addition, the PD could not risk a repeat of the nightmare of the last presidential election in 2013, when the party split up over the name of Romano Prodi and the outgoing president was asked to stay on for another term. In fact, Mattarella represents a good choice for the element of the PD that disagrees with Renzi because he is a moderate who has shown that he is willing to follow the ideal of justice even to his personal detriment. One of the clearest examples of this was his criticism of the so-called “Mammì law”, which favored Berlusconi’s business interests when at the time he was just a media tycoon. When the government decided to approve the law, which went against an EU directive, Mattarella – then Minister of the Public Education – resigned. This time Berlusconi’s FI did not present any official candidate, whereas other opposition parties did. The Five Star Movement proposed Ferdinando Imposimato (an ex anti-mafia judge); the Northern League chose Vittorio Feltri (a right-wing journalist) and the radical left (SEL) proposed Luciana Castellina (a left-wing journalist). The smaller ruling parties behaved in different ways. Scelta Civica (SC, the party of the former PM Monti) chose Emma Bonino (one of the Radical Party’s prominent leaders) as their official candidate for the first phase, while NCD (a small centrist party that was previously part of FI) did not present a candidate. However, SC, NCD and SEL decided to vote for Mattarella at the fourth voting round, while the Five Star Movement and the Northern League continued to support their official candidates. Presidential elections remain one of the few political acts in which political parties continue to be important, even in a country where nobody really trusts them (popular consent is lower than 3%. Source: Demos&PI, December 2014). Parties are committed to presidential elections for two reasons. On the one hand, the election of the President is indirect and therefore their role is required by the rules. On the other hand, parties are interested in the selection of the Head of State, since they are well aware of the strong role that the President can play, as the experience of the last three Presidents (Scalfaro, Ciampi and Napolitano) has clearly shown. However, presidential elections remain quite conflictual. Firstly, this is due to the way in which the process is structured, as the electorate includes an incredibly high number of people and a super majority is initially required to elect the president. The President is elected by Parliament in a joint sitting of the two houses whose members constitute an electoral college that also includes 58 representatives of the regional councils. This time the Electoral College comprised 1009 people (315 Senators, 6 Life Senators, 630 Deputies and 58 Regional Representatives). A two-thirds majority is required at the first three rounds of voting, whereas an absolute majority is needed for the fourth onwards. Secondly, presidential elections often reveal conflicts within parties, which can be analyzed in terms of the length of the process, the fragmentation of candidatures, and the majority obtained by the winner. The length of the process has considerably reduced in the last 15 years. Indeed, during this period parties needed a maximum of six rounds to elect the President. By contrast, in the past the process used to be much longer. For example, Giovanni Leone (1971) was elected at the 23rd round, Giuseppe Saragat (1964) at the 21st, Sandro Pertini (1978) and Oscar Luigi Scalfaro (1992) at the 16th. The new President was elected at the 4th round, confirming the shorter trend. This reduction can be explained by the centrality of the President in recent years. Consequently, parties which previously just played for time now face the threat of popular resentment if the election is delayed. From the 1980s on, the fragmentation of candidatures has increased. Indeed, the mean value was higher than 10 for Cossiga (13), Scalfaro (16), Ciampi (18), Napolitano I (19), and Napolitano II (13). In the case of Mattarella the fragmentation was also very high, with a the mean value of 21.5. A possible explanation for this fragmentation is that the choice of the President has become more salient as parties have started to lose their grip on people. In other words, if parties are weak and government coalitions are heterogeneous, the President’s role becomes stronger both in terms of government formation and certain policy decisions, including foreign politics. Therefore, choosing a President who can stand in for the government has become an effective political game for all political forces, which as a result try to elect their own candidates in the first place. Usually, Presidents obtained a relatively high majority in the election (between 60% and 69%) or a high majority (between 70% and 79%), although nobody has ever reached the peak of Sandro Pertini in 1978 (84%). In three cases only, the majority was low (between 50% and 59%). These are the so-called “Presidents of the Majority” (Segni, Leone and Napolitano I) who were supported by a combination of parties coinciding with the governing majority. Sergio Mattarella was elected with 665 votes or 66.8%, that is to say a relatively high majority of the electoral body. In particular, the ruling parties of the Great Coalition (PD, NCD and SC) and the radical left (SEL) voted in his favor. At the last round, the sum of the blank and null ballots was 11.8%. Silvio Berlusconi’s party decided to keep on voting a blank ballot, but this marginalized the party by preventing it from being one of the “President-makers” in the future. Looking at the political profile of the new President, we can say that it is fully consistent with the tradition of the office. Mattarella has a long institutional career, having been a member of the Chamber of Deputies for 25 years from 1983 to 2008. Moreover, like the majority of his predecessors, he was appointed Minister several times (in six Cabinets: Goria, De Mita, Andreotti VII, D’Alema I, D’Alema II, Amato II) and, in particular, he served twice as Minister of Defense. In addition, like the majority of the former Presidents, he never had a strong position within his original party (DC) and within the subsequent PPI, even though he was one of its co-founders. Finally, Parliament elected him as Constitutional Judge in 2011. This experience is also in line with tradition, as other Presidents have formerly had strong roles in other public institutions (such as Einaudi and Ciampi who were both Presidents of the Bank of Italy). From this point of view, it seems that parties have tried to replicate patterns of choice of the past. In particular, they have tried to mark a change from Giorgio Napolitano, who had a long party career, as well as strong international and European credentials, and great ability to exploit the media. Indeed, there is no doubt that these qualities played a particular role on his ability to influence Parliament’s and Government’s decisions. Even though parties try – as far as possible – to select presidents who can be controlled by them, often they have obtained surprising results. Indeed, Cossiga, Scalfaro and even Ciampi were able to oppose Prime Ministers and parties when they thought it was necessary, even though at the very beginning they seemed to be perfect “notaries”. Perhaps Mattarella will have similar surprises in store. This entry was posted in Europe, Italy and tagged Italy, presidential election on February 3, 2015 by Robert Elgie.